Their use of lace and color was exciting, and I was eager to try one of their dresses. They are definitely expensive, but they do appear on sale on the Outnet and Asos. I found out that, while breathtaking, these dresses aren't very petite-friendly. 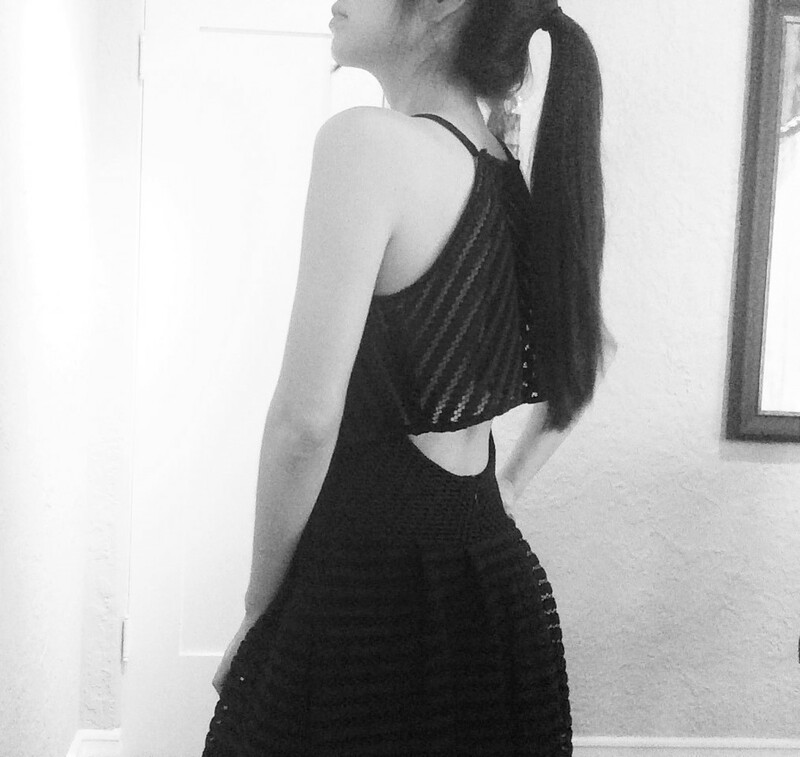 The Azalea, for me, was basically too long everywhere - the straps, the torso and the overall length (I'm 5'2''). Also, I had to order up a size, as when I got the US 0, I couldn't even zip it up. I probably could have gone up two sizes (since I generally don't like tight clothes) but then the length was really much too long. 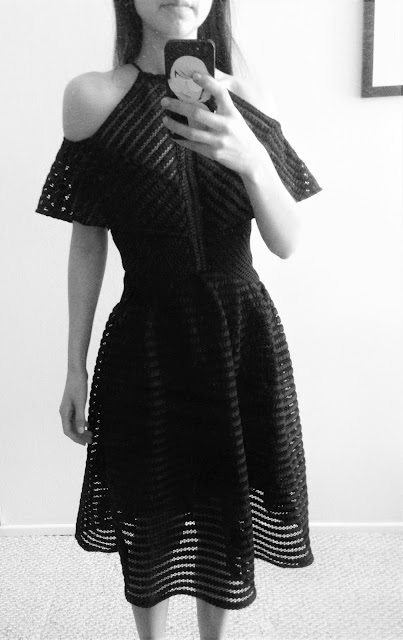 I gave up on my Azalea dreams, but then months later, I stumbled across another Self Portrait dress that spoke to me, and it was on sale! The fit was much better for me than the other Self-Portrait dresses I tried. It was still a little long in the torso (as you can make out from some lumps in the photo above) but otherwise fit very well. The coolest part of the dress is the fabric. It is hard to describe, because it is sort of see-through, like lace, but laid out in rows, and the fabric is thicker - like a neoprene. I ended up making the photos black & white, as otherwise it is hard to make out. The coolest part is the black, which is open, but covered with a cute bib-like element. 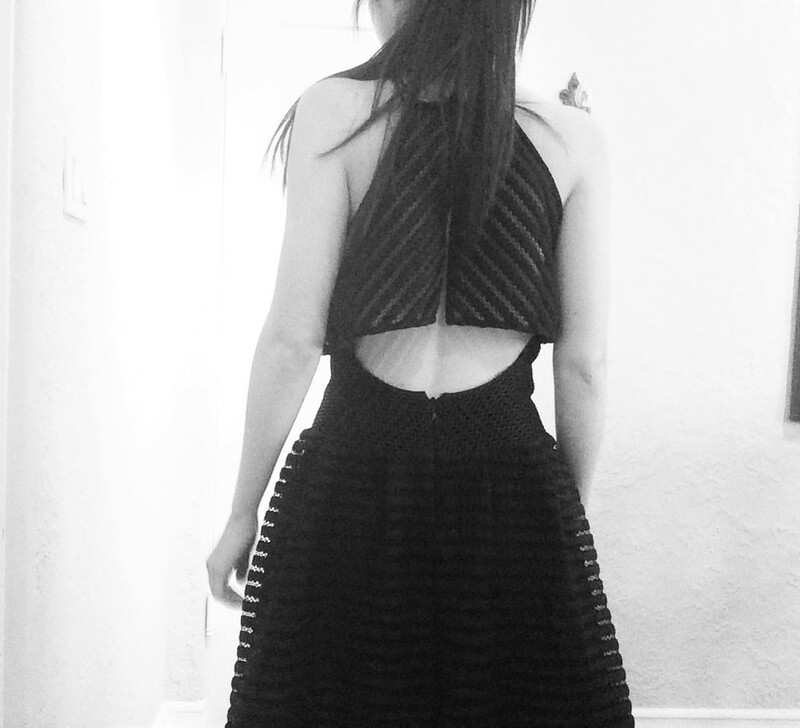 I ended up wearing this dress to a wedding, and will probably wear it to any and all cocktail-attire events I can get invited to. Some more Self-Portrait dresses below are below - have you tried anything from them, and how did you find the fit?